The Sterling by Musicman SUB RAY4 in Trans Red Satin finish is an outstanding active bass, which gives you plenty of power and a wide range .. 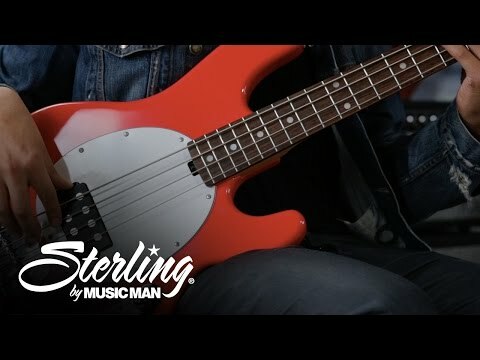 The Sterling by Musicman SUB RAY4 in Trans Red Satin finish is an outstanding active bass, which gives you plenty of power and a wide range of tones. The best components, hardware and designs all work in harmony to give you the best user experience as you discover your sound. The goal is to deliver an instrument, at a price that surpasses your expectations. The Ray4 and Ray5 basses are the cousins of the Music Man StingRay 4 and 5 basses. Classic, iconic instruments that defined a generation of bassists since the late 70?s. Active electronics, low noise hum bucking pickups, rock solid hardware and a simple, uncluttered look that is instantly recognizable and respected.